It seems that Microsoft’s plans to spark interest in Windows 8 tablets by launching their own branded hardware may have backfired in a big way. Microsoft’s largest OEM, HP, has reportedly taken offense to the move and decided to pull out of plans to make Windows-based tablets, according to a new rumor originating from SemiAccurate. The bad news for Microsoft, if true, is that HP isn’t the only OEM dumping their Windows tablet roadmap; a “whole flock” of partners are allegedly deciding to side with Google’s Android platform instead. 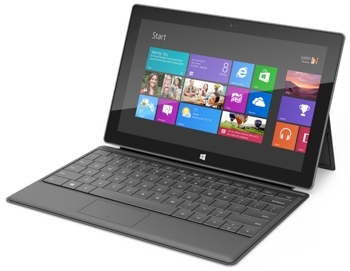 This could be a serious blow to Microsoft’s Windows 8 / tablet ambitions. As the publication describes, Microsoft essentially handcuffed OEMs and ARM chipmakers with a two device per chipset strategy. They also supposedly “worked closely” with these OEMS to help them refine their tablet offerings. As the story goes, once all of this design information had been combed through, Microsoft got to work on their own tablet that utilized only the best features from the OEMs, capitalizing on various weaknesses. Furthermore, Redmond isn’t subjected to the same two device per chipset limitation and to add insult to injury, they have reportedly raised the price of Windows on Arm RT licenses by nearly three times the cost of a full version of Windows 8. It remains to be seen if this will actually pan out, but if it’s true and other OEMs follow suit, Windows on Arm RT could essentially be dead in the water.